Apple After Steve Jobs: What About the Vision Thing? There has been much discussion about Steve Jobs' health after Apple's iconic cofounder and CEO appeared on stage at the Worldwide Developers Conference (WWDC) in early June looking gaunt and seriously underweight - even "sickly", according to some - and speculation that he might be ailing. And about what effect his departure would have on from Apple future and stock valuation. This is not exactly a new line of conjecture. In 2004, Jobs announced to Apple employees that he had been diagnosed with a malignant tumor in his pancreas, but that it was a rare, far less aggressive form of pancreatic cancer known as islet cell neuroendocrine tumor, which was subsequently removed successfully in July 2004. He returned to work later that year. However, at the 2006 WWDC keynote, Jobs' "thin, almost gaunt" appearance and "listless" delivery (to cite commentary at the time), together with his delegation of portions of the keynote to other spokespersons, sparked a spike of media and blogosphere speculation about his health, which blew over fairly quickly, but it has been reignited by his appearance at that event this year. Apple tersely explained Jobs had been battling a "common bug" and was taking antibiotics, but that didn't quell the rumors and conjecture about Apple's possible future without Steve Jobs. During the company's July 21, 2008: earnings announcement conference call, Apple again insisted that Jobs' health is a "private matter", a stance I'm inclined to agree with, but that didn't satisfy many commentators. On July 26, New York Times columnist Joseph Nocera reported a somewhat testy "off the record" phone conversation in which Jobs informed him that while his recent health issues "amounted to a good deal more than 'a common bug,' they weren't life-threatening and he doesn't have a recurrence of cancer." Last year, the financial journal Barron's suggested that Apple's market cap would instantly drop by a dizzying $20 billion in value should he suddenly be forced to resign his company chairmanship, which is the main concern driving widespread anxiety about Jobs' health. That's arguably a legitimate concern, as others have suggested that a Jobs departure from Apple would be analogous to what happened to the Disney Company after Walt Disney died - only several magnitudes greater, and more than a decade after Jobs returned to Apple after a long exile, having been fired from the company he founded by John Sculley in 1985. So who might succeed him? Tim Bajarin, an analyst who has followed Apple for decades, thinks that Jobs has bred such a strong culture within Apple that there is "nobody on the outside who could even come close" to taking the reins successfully. Hopefully gloomy forebodings will prove groundless, but should they not, heaven forbid, (and, of course, even if he lives to a ripe, old, age, the day will come for what I hope will be a long and happy retirement), what are the prospects that Apple will continue to crank out insanely great stuff for decades to come after he leaves? The Walt Disney analogy is an apt one. Disney was never the same after Walt died. Like Jobs, he was the visionary and anchor of the firm he created, and the money-grubbing bean-counters who followed in his wake simply didn't possess the imagination and creativity to carry on his legacy faithfully and authentically. The "vision thing" can't be whomped up at will. You've either got it or you don't. William Lyons and Jaguar Cars Ltd.
Another analogy is England's Jaguar. Apple was founded by two Steves, and Jaguar was founded by two Williams (William Lyons and William Walmsley) as the Swallow Sidecar Company back in the 1922. As with Steve Wozniak at Apple, Walmsley left early on, and Lyons become managing director in 1933. 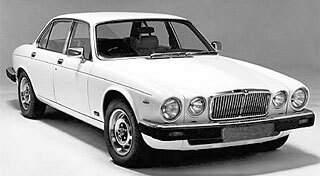 While there were many other contributors to the rise of Jaguar, such as engine designer Harry Weslake and chief engineer William Heynes, Lyons was the visionary and had a personal hand in conceiving, designing, and styling all of the classic Jaguar models right up to the legendary XJ6. However, when Lyons stepped down as Jaguar managing director in 1966 (he remained chairman and CEO until 1972), the rot quickly began to set in. The company was swallowed up in a series of mergers that created the British Leyland Motor Corporation conglomerate, and basically continued to exploit the gradually diminishing momentum of the Lyons vision. 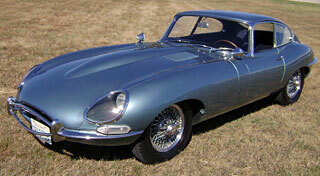 New models were introduced, but they lacked the grace and elegance of the Lyons designs. Jag hived off the foundering Leyland group in 1984 and continued struggling along until it was bought by Ford in 1989, ensuring its survival for a time at least. It never made a profit for Ford in 18 years, and it was sold again last spring (along with Land Rover) to India's Tata Motors Ltd. in a $2.3-billion deal - considerably less than half what Ford had paid for the two companies in 1989 and 2000 respectively. This is a mere spit-in-the-ocean compared to the $50 billion some observers suggest the Jaguar/Land Rover adventure cost Ford. Tata Group chairman Ratan Tata, who eight years ago acquired another British corporate icon - Tetley Tea, which is reportedly prospering under his ownership - has commented, "Our plan is to retain the image, the touch, and the feel of Jaguar and Land Rover. We will not tinker with the brands in any way. They are special global brands, and whoever acquires them has a responsibility to nurture them and enable them to prosper." Hopefully, Mr. Tata will succeed where Ford failed. Jaguar has as yet never transcended the Lyons legacy, with its most successful and signature styling themes derivative of the XJ6 and the 1950s vintage S-Type, and the grace of Lyons' E-Type sports car has never been matched. Sadly, the latest Jaguar XF apes the Lexus GS in profile - still handsome, but neither original nor stunning the way virtually all the Lyons Jags were. Can Ratan Tata restore the vision? We'll see. Jobs/Disney and Apple/Jaguar are rough analogies at best, since Apple's history contains a long precedent interregnum of 12 years without Jobs, which was longer than his present tenure, and the company still managed to produce some pretty cool products during that period. Still, the second Jobs era has certainly been Apple's creative heyday, and even in exile, Jobs (at least in hindsight) was laying the groundwork for Apple's renaissance in the form of NeXT Computer, whose NeXTstep operating system became both the basis for Mac OS X and the vehicle that brought Jobs back to Apple. I've disagreed with a lot of Jobs' decisions at the time they've been announced, but more often than not he's been proven right - for instance, in pulling the plug on Mac OS clone licensing back in 1997, although I still think he was astute in canceling the G4 Cube in 2001. On the other hand, there probably never would have been a Cube without Jobs' vision, so there you go. For now, Mac OS X and the continued elegance and superb user experience of Apple products will keep me and a lot of others in the fold - and Apple's balance sheets healthy. And who knows? Steve Jobs is a bit younger than I am. Perhaps he'll outlast me.